Braen Supply has been included in countless magazines, newspapers, online articles and TV segments over the past decade. Below you’ll find some of our most recent appearances in the NJ, NY, NYC media as well as some national appearances. 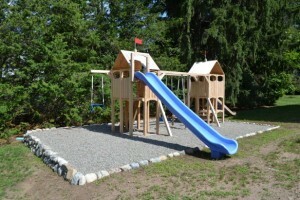 HGTVgardens.com featured Braen Supply’s creative advice to use pea gravel in stead of mulch for children’s play areas. Pea gravel is a cleaner alternative to mulch and doesn’t have to be replenished as often as mulch. You can read the whole article from HGTV here. 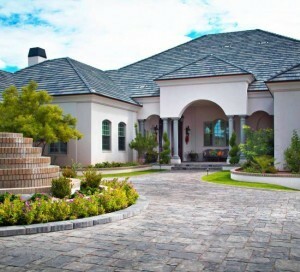 NorthJersey.com featured Braen Supply’s excellent selection of driveway pavers and how they can make an amazing first impression for guests. Whether you choose one paver system or a variety of different pavers for your driveway, they can really pack an aesthetic punch! You can read the entire article on NorthJersey.com. When HGTV was searching for bluestone and flagstone to feature in their latest magazine, they reached out to the experts at Braen Supply. 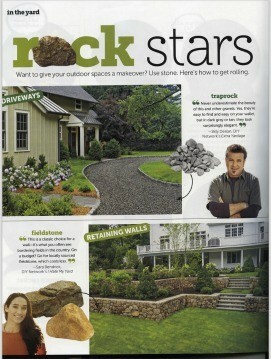 We sent them over several different samples of each stone and before we knew it, we were featured in the “Rock Stars” section of the magazine! You can click on the image below to view the entire Rock Stars section. With rock salt supplies nearly nonexistent across NJ and the entire northeast, Gus Rosendale of NBC visited Braen Supply in Wanaque to discuss the rock salt shortage, alternatives to rock salt and to discuss supplies and availability with Josh Braen, the general manager of Braen Supply. 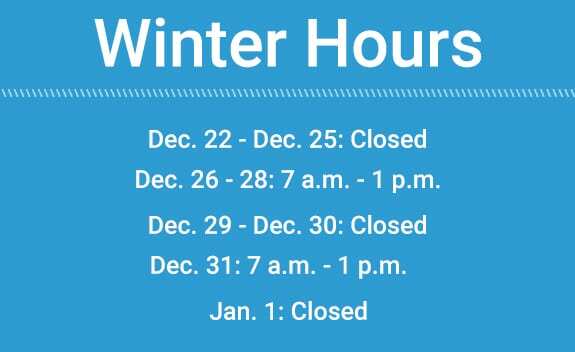 You can view the entire video below or via our Youtube channel. 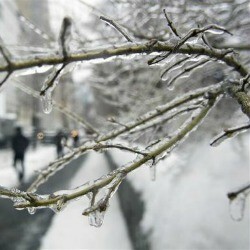 As winter storms continued to batter the northeast officials in New York and New Jersey warned that they were starting to run short on rock salt. Anthony Scorzetti, the hardware and paint manager at Braen Supply told Reuters, “We’re just continuing to get crushed by these storms. 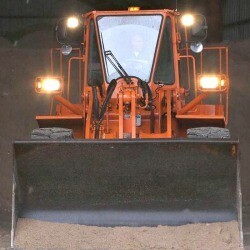 With major rock salt shortages, it’s starting to get scary out there”. 10 year old Nicholas is more than a cancer survivor, he’s also the president and CEO of the foundation Cancer Stinks. With his parents and Vice President little brother by his side he makes and hand delivers care packages to children staying overnight at hospitals for treatment in New Jersey. More than anything, Nicholas wants a place from which to operate his foundation and to hang out with his family. So he is overjoyed when he comes home and sees Anthony and John standing in his basement, promising to convert the unfinished dark space into the bright new headquarters of Cancer Stinks and new family hang out center. Anthony and John know it’s important to mix work and play so they build a space with modular furniture that is multi functional. Cancer Stinks HQ by day and the ultimate boy cave by night, or at least until Nicholas’ parents tell him it’s time to go to bed.